Projektchef för nytt resecentrum och renovering av befintligt stationshus. 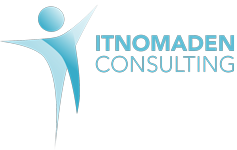 ITNomaden AB assist companies with project management concerning new constructions, rebuilding of premises or IT infrastructural projects. The work involves planning, organizing, quality assurance, risk management and controlling resources to achieve the requested goals. By adapting our organization, together with our network of different resources, you get the organization and the result of the project that you desire.